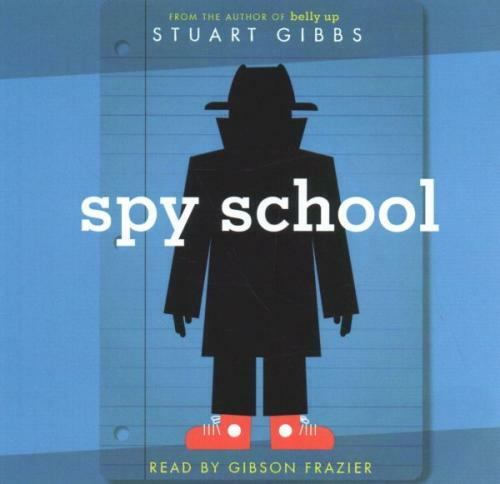 Spy School is a series of novels about a secret youth spy school headed by the CIA. The main characters are Ben, Erica, Murray, Mike, and Zoe. In this book, the young spies are responsible for locating the headquarters of an evil organization, SPYDER. They attempt to do this using Murray who is acting as a double agent of the spy school and SPYDER. Along the way, the main characters have to defeat SPYDER’s leaders and best bodyguards in order to thwart SPYDER’s plans. This book is an exciting adventure book with some intense parts making it hard to put down. It was a real page turner, full of action, mystery, humor, and even a little romance. I rate this book 5 stars because I really like the descriptive words Stuart Gibbs uses and the mystery that needs to be solved. It was also interesting learning about climate change and the impact on the earth. Can an undercover nerd become a superstar agent? Ben Ripley sure hopes so-and his life may depend on it Ben Ripley may only be in middle school, but he's already pegged his dream job: C.I.A. or bust. Unfortunately for him, his personality doesn't exactly scream secret agent. In fact, Ben is so awkward, he can barely get to school and back without a mishap. Because of his innate nerdiness, Ben is not surprised when he is recruited for a magnet school with a focus on science-but he's entirely shocked to discover that the school is actually a front for a junior C.I.A. academy. Could the C.I.A. really want him? Actually, no. There's been a case of mistaken identity-but that doesn't stop Ben from trying to morph into a supercool undercover agent, the kind that always gets the girl. And through a series of hilarious misadventures, Ben realizes he might actually be a halfway decent spy...if he can survive all the attempts being made on his life.